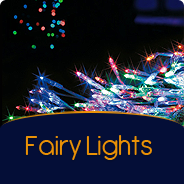 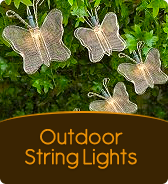 String lights are a quick & easy way to brighten any area of your home or garden. 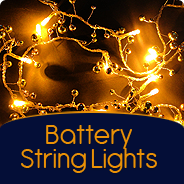 Simply arrange the string lights & plug in for instant & dramatic effects! 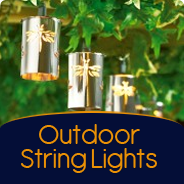 With so many designs of string lights available today there is bound to be a design to suit. 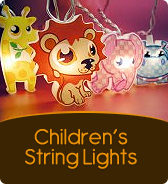 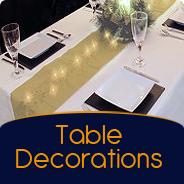 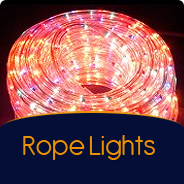 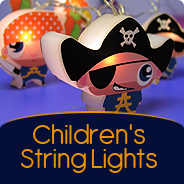 String Lights come in various forms and are used as both decorative and practical lighting. 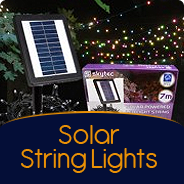 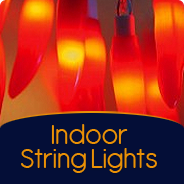 String Lights offer a simple and flexible lighting solution – easy to install & easy to put away. 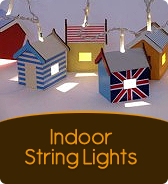 With string lights you can change the feel of a space in minutes.